A proven senior technical manager with a track record of successful development and implementation of large-scale, line-of-business and “software as a service” applications. Nine years of experience in building and integrating systems for the automotive retail industry, including Salesforce automation, back office, financial services and manufacturer integration using industry standards for information sharing (ADF, STAR). Experience in architecture, development, deployment and managing scalable enterprise collaboration and information management applications (MS CRM, MOSS, SharePoint, and GeoDocs). Utilizes taxonomies, workflows, custom component development and enterprise content delivery strategies. Advocate of disciplined iterative development methodologies. 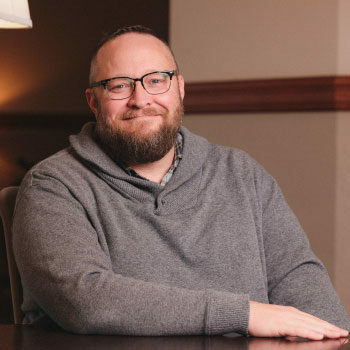 Working primarily with Microsoft tools and tech (with a new-found love of Ruby), he has been building software for nearly 20 years for a number of clients and even owned a software company for nine years. Shawn is a former U.S. Marine Infantryman and enjoys all things tech, learning about new, shiny things, building things, shooting sports, coaching his son in football and watching all of the awesome things his daughter does. "There are few things more personally satisfying than shipping great solutions that contribute to the success of my clients. I love working in this industry where we are constantly learning and finding new and better ways to solve complex problems."